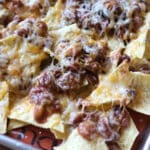 Tortilla chips topped with a fantastic chili made from five beans, steak and sausage makes this the easiest (and tastiest!) nachos I make. My kids ask for these at least once a week and they insisted I take a picture and blog their favorite lunch today. They made me grin; so of course I obliged them. My boys can assemble this lunch themselves and it makes them very proud! You can make these nachos with your favorite chile or even canned chili. However, I keep our favorite Five Bean Chili with Steak and Sausage in the freezer in two cup containers, just for this meal. Excited boys waiting while I photograph their favorite lunch! Preheat oven to 350 degrees. 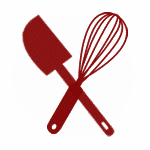 Line a baking sheet with a silpat mat, parchment paper or aluminum foil. 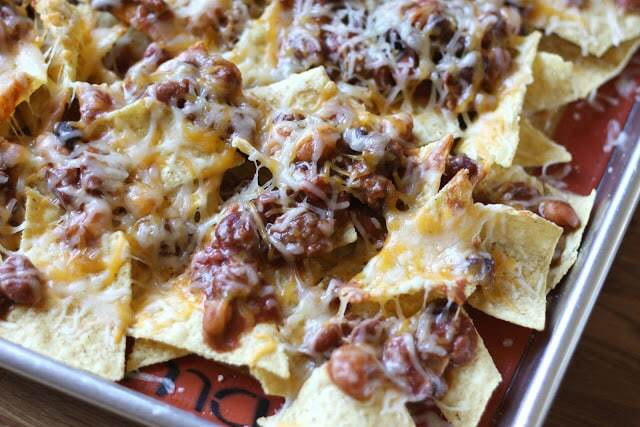 Spread tortilla chips across the baking sheet and drop spoonfuls of chili all over the chips. Sprinkle cheese generously across the chili and chips. Bake 8-10 minutes, just until the cheese is melted. Enjoy! Hard to beat nachos. Kids sure are cute. The amount of nachos and wings my friends and I eat during football season is outrageous, which is why last year I started making my own nachos (minus the chili) with bacon, peppers, onions, and a mix of cheeses. Let's just say, now it isn't gameday unless those nachos are present! I'll definitely try it with this chili recipe though. Beautiful family too! We do a similar one with leftover bbq because that's what we have on hand. Great meal or snack. You have such beautiful boys Mary. Love that photos of them waiting for their lunch. Why wouldn't this be their favorite lunch? I'm in....would be my favorite lunch is someone made it for me! It's hard to say which I love more - that great recipe, or the adorable picture of your boys! So cute! 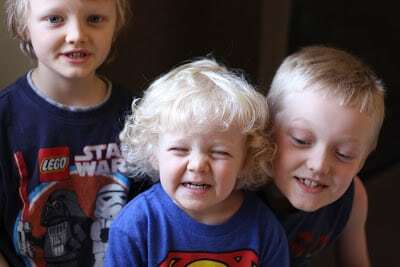 Your boys are so adorable - just love the smiles and blond hair! I like that you lay your nachos out nice and flat on the sheet pan. Nothing worse than nachos stacked up high with cheese only on the top nachos. 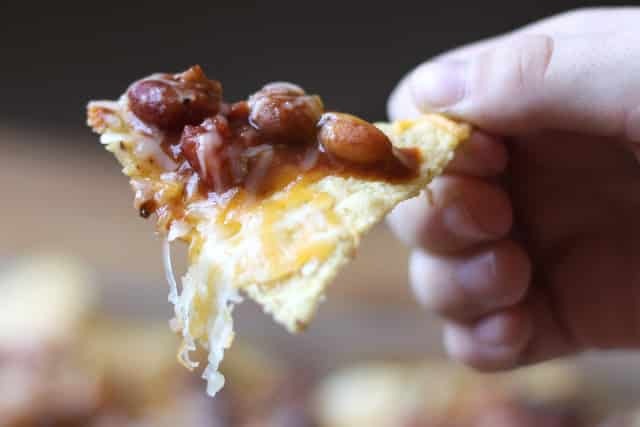 The beans and cheese melted over top is droolworthy!